We study spherically symmetric solutions to the Einstein–Euler equations which model an idealised relativistic neutron star surrounded by vacuum. These are barotropic fluids with a free boundary, governed by an equation of state which sets the speed of sound equal to the speed of light. We demonstrate the existence of a 1-parameter family of static solutions, or “hard stars” and describe their stability properties: First, we show that small stars are a local minimum of the mass energy functional under variations which preserve the total number of particles. In particular, we prove that the second variation of the mass energy functional controls the “mass aspect function”. Second, we derive the linearisation of the Euler–Einstein system around small stars in “comoving coordinates” and prove a uniform boundedness statement for an energy, which is exactly at the level of the variational argument. 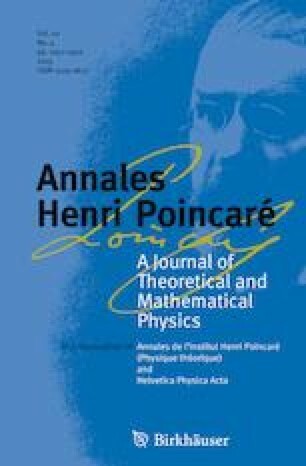 Finally, we exhibit the existence of time-periodic solutions to the linearised system, which shows that energy boundedness is optimal for this problem. We would like to thank Robert Wald for a useful discussion at the trimester programme on “Mathematical General Relativity” at the IHP, in Paris (2015). G.F. was supported by the EPSRC Grant EP/K00865X/1 on “Singularities of Geometric Partial Differential Equations” and partially by the ERC Grant 714408 GEOWAKI under the European Union’s Horizon 2020 research and innovation programme. V.S. gratefully acknowledges the support of ERC consolidator Grant 725589 EPGR, and ERC advanced Grant 291214 BLOWDISOL.